Beginner’s running program Beat the Couch has launched a new program for intermediate runners with the 5-8-10K Challenge, an 11-week program that begins with the Fidelity 5k and then prepares participants for the Bacardi 8k in November and the Bermuda Marathon Weekend 10k in January. Catherine Burns, managing director of Natural and founder of Beat the Couch, said, “Graduates of our Beat the Couch 5k have been asking us to provide a ‘next step’ for a long time. Some have been self-motivated and have continued to run independently, but many miss the encouragement and accountability of the team. “Our 5-8-10k Challenge will help them transition to the next level with expert guidance and support. Tackling three races within one timeframe is a really fun but difficult goal, so the sense of achievement at the end is going to be huge. “Although the program has been designed with client graduates in mind, the 5-8-10k Challenge is open to every member of the public with some running experience behind them. Your 5k doesn’t have to be perfect right now – it might be slow or involve a bit of a run/walk – but that’s okay. The new program will be led by Lucy Parker, Natural’s A.C.E. certified personal trainer, sports nutritionist, and running enthusiast. Ms. Parker said, “I am really excited to join the Beat the Couch team and launch the 5-8-10k Challenge! This is a great opportunity for people who have a little running under their belt to step it up and see what they are capable of next. Beat the Couch favourite Sergio White will also be providing some training, with Ms. Burns providing training and nutrition support. 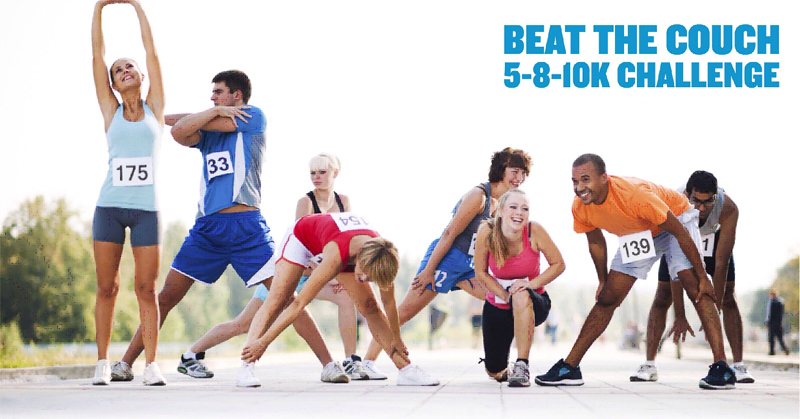 The Beat the Couch 5-8-10k Challenge begins November 1, with a registration deadline of Wednesday, October 28; a payment plan is available. For more information, visit the website or contact Catherine Burns at Catherine@natural.bm or 505-4725, or Lucy Parker at lucy@natural.bm or 532-0510.